Dream, Create, Inspire: All That Glitters. . . . . I've been keeping busy working on several different projects lately. 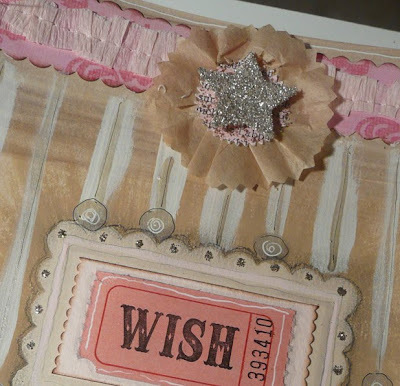 Journal pages, swaps, Christmas goodies for my shop update, tutorial and kit for Joli Paquet, etc., etc. Somehow my "to-do" list keeps getting longer and longer. It's all good though and lots of fun. Here's a couple of sneak peeks of some of these things in progress. My desk is covered in glitter! A girl can never have enough glitter, right? 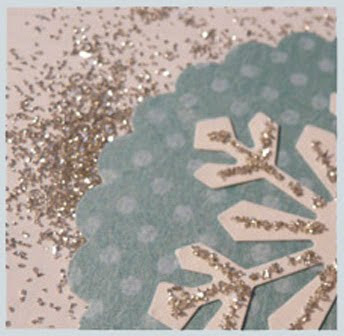 Jeanne, it looks beautiful...i have a trail of glitter all through my house right now!! !